At just 19 years old, singer-songwriter Jake Bugg is making huge waves with his new single "Two Fingers". 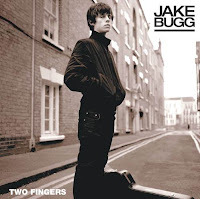 With influences from classic artists such as the The Beatles, Oasis and Bob Dylan not to mention some Arctic Monkeys and Miles Kane and it's clear that Jake Bugg is writing music way beyond his years. The stirring track and catchy chorus is so refreshing and unique; a far cry from many young artist today.